Should We Worry About a North Korean Chernobyl? Chronic power shortages are one of North Korea’s major vulnerabilities. The country is extremely reliant on hydropower stations which, according to North Korean official sources, provide 56 percent of the national power-generating capacity. Hydropower output depends on precipitation and drops drastically in dry years. Developing nuclear energy has long seemed an obvious option for North Korea to bolster its energy security. Already for many decades the DPRK has been making efforts to build an atomic power industry, although the lack of funding and Pyongyang’s severely restricted access to the international market of civilian nuclear technologies have seriously hampered the its progress in this area. Still, the DPRK continues to pursue nuclear-power generation. In particular, progress is being made on the 100 megawatt-thermal Experimental Light Water Reactor (ELWR) at the North’s Yongbyon Nuclear Scientific Research Center, of which construction began in 2010. There might also be other, as yet undisclosed, nuclear facilities in development and under construction designed to combine civilian (power generation) and military (plutonium production) functions. Until recently Pyongyang has not treated its civilian atomic sector as a top priority, with most of the resources going into military-related nuclear programs instead. This, however, may be changing, especially with the specter of an external trade and energy blockade looming ever larger after the adoption of increasingly harsher international sanctions measures in 2017, including severe limitations on the supply of oil and petroleum products to North Korea. In order to deal with potential oil shortages, Pyongyang may be banking on coal liquefaction. The technology of turning coal into hydrocarbon liquids is not particularly sophisticated, but requires large energy inputs, which might serve as another argument in favor of the speedy deployment of civilian nuclear energy. Part of the rationale for nuclear power plants may also be strategic—using them as a shield to deter possible attacks on the North. The United States and South Korea might have to think twice before conducting military strikes in the areas where North Korea’s active nuclear power plants would be located given how close they are to Seoul and other densely populated areas. Pyongyang’s newfound interest in jump starting nuclear energy projects is evidenced by the shift in priorities in the specialization of North Korean science interns sent to study in Russia. Before the late 2000s, mostly physicists came to Russia, including those who demonstrated their interest in nuclear physics. 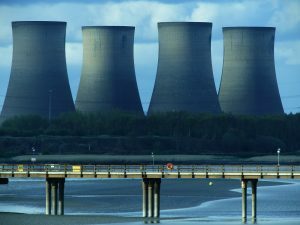 However, since the early 2010s, they were increasingly replaced by specialists in the fields of heat engineering, cooling systems and other areas of energy engineering required to build and operate nuclear power reactors. It should be noted that Russia has always maintained due diligence when admitting North Korean interns to science and technical departments in order to prevent any leaks of dual-use tech. Controls have been considerably strengthened since 2016, after the adoption of UN Security Council resolutions which made studies and research in proliferation-sensitive areas off limits to the DPRK citizens. As is well known, North Korea’s nuclear energy program has Soviet origins. In 1956, an agreement was concluded with the Soviet Union on the DPRK’s membership in the international nuclear research center at Soviet Dubna. In 1964, a research center was established at Yongbyon, where a year later the Soviet research reactor—an IRT-2000—with a capacity of 2 megawatts was built. This is a pool-type reactor in which the active zone is submerged in an open pool filled with light or heavy water. The water serves simultaneously as a moderator, neutron reflector, coolant and biological shield. This design is easy to use, since all elements of the core and the first cooling circuit are at atmospheric pressure. It also provides easy access to the reactor parts. For a nuclear fuel, a dispersed composition is used—the uranium dioxide particles are distributed in an aluminum matrix. The reactor makes it possible to achieve a flux density in the active zone of 1013 cm-2·s-1. Those technical capabilities were the starting point for the establishment of a nuclear power industry in North Korea. What kind of reactors can North Korea build for its nuclear power plants with the available technical and intellectual capabilities? Most probably it could build reactors similar to the Soviet RBMK-1000, a variety of light water graphite reactor—the same type as the reactor that exploded at Chernobyl. Such reactors are channel-type, heterogeneous, uranium-graphite (graphite and/or water are used as the moderators of neutrons), boiling-type on thermal neutrons, which use boiling water as a coolant in a single-circuit scheme and can produce saturated steam at a pressure of about 70 kgf/cm.² The creation of such an open-frame reactor is much easier for the DPRK compared to reactors using high-strength large-sized casings that require significant industrial production capacity. In addition, a casing puts limitations on overall dimensions. Absence of a casing allows for greater generating capacity of the power unit. Moreover, in an open-frame design, the fuel assemblies can be replaced without shutting down the reactor, which ensures an increase in the reactor power factor. However, such a simple design feature, together with the desire to crank up more power to generate electricity, inevitably leads to an increased risk of disasters associated with human errors as well as imperfect operation and protection systems. The most tragic example is the accident at the Chernobyl nuclear power plant in 1986, when the plant’s staff, running the reactor in an experimental mode, made gross errors while manipulating the graphite moderators of neutrons. The concern is that the North Koreans may attempt to launch nuclear power plants with substandard and poorly tested reactors. Doing so would keep with the North Korean tradition of sacrificing safety standards to accelerate construction of high-priority industrial facilities. Soviet technical specialists who assisted the DPRK in the 1960s repeatedly noted North Koreans’ willingness to cut corners in terms of safety standards for the sake of construction speed. Based on the political and economic realities of the DPRK, one can assume with a high degree of certainty that the North Koreans will try to wring out the maximum capacity from their nuclear reactors. However, even slight movements beyond safe operating parameters of an RBMK-type reactor can cause rapid irreversible consequences, namely destruction of the fuel assembly, deformation of the core’s graphite masonry, and injection of a significant amount of radioactive substances from the destroyed fuel assembly into the reactor space. If this happens, a brief increase in pressure may occur in a section of the gas circuit, which will result in large volumes of water flooding the reactor space. Its instantaneous evaporation will cause a sharp increase in pressure in the reactor space, which in turn will lead to extrusion of the reactor’s hydraulic locks and, as a consequence, release of the radioactive vapor-gas mixture from the reactor space into the atmosphere. In other words, rapidly increased pressure inside the construction will destroy it, and the radioactive elements in the vapor mixture will be thrown out. As a result, a huge territory could be contaminated with radioactive substances. Based on the reactor’s power generating capability, and depending on weather conditions, such as strength and direction of the wind, up to 100 million people in North and South Korea, the eastern provinces of China, in the south of Russia’s Far East and on the west coast of Japan could be exposed to mortal danger. While North Korea’s nuclear weapons program gets most of the international attention, implications of Pyongyang’s pursuit of civilian nuclear energy should be a concern, too. Indeed, just as already happened with the DPRK’s nuclear and missile program, which—unexpectedly to many—has made great strides in a relatively short time, it may not take very long for North Korea to launch power-generating nuclear reactors whose technical parameters may be far from the best standards of safety. Any search for solutions to the Korean nuclear crisis must take this concern into account as well.